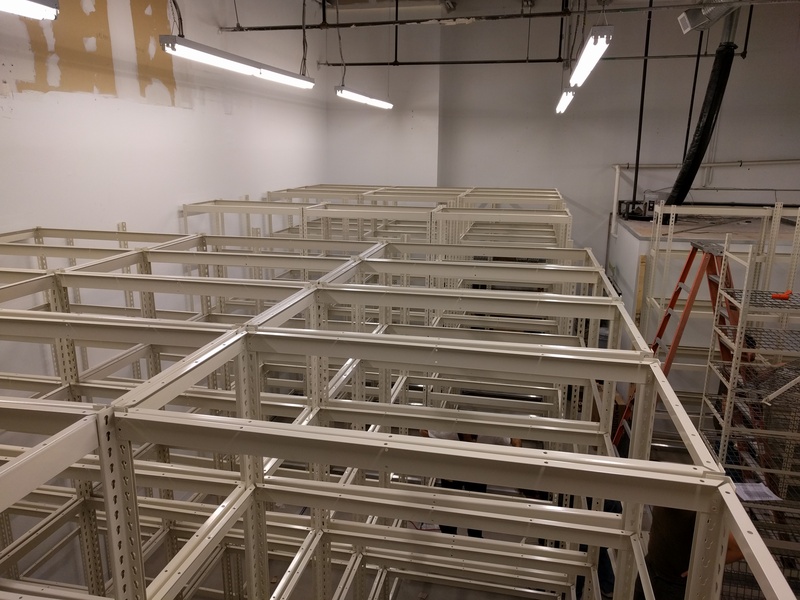 We recently completed an installation of mobile warehouse shelving for a new retail store in Buffalo’s Walden Galleria mall. The system involves leveling and anchoring tracks to the floor, then building the shelving units on top of mobile carriages. Anti-tip brackets connect the carriages to the track, making sure that the shelving units are thoroughly secured. A braking component assists the end user in moving and stopping each individual shelving unit, and is directly built into the track. 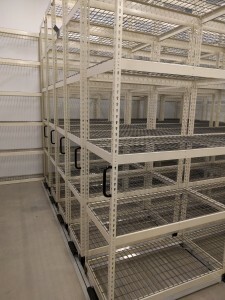 A mobile storage system maximizes storage space for smaller warehouse areas (such as this one inside a mall). Each unit can move left or right on a track, enabling the end user to have the aisle be anywhere needed. It also makes the installation more challenging, as there is very little room for staging and assembly. Another issue with this project was that certain necessary tools were banned during the hours the mall is open. 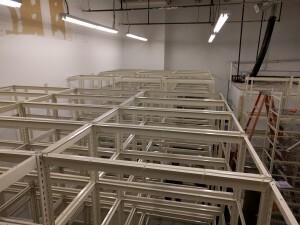 Our crew overcame these challenges to complete installation of the mobile storage system a half day ahead of schedule. 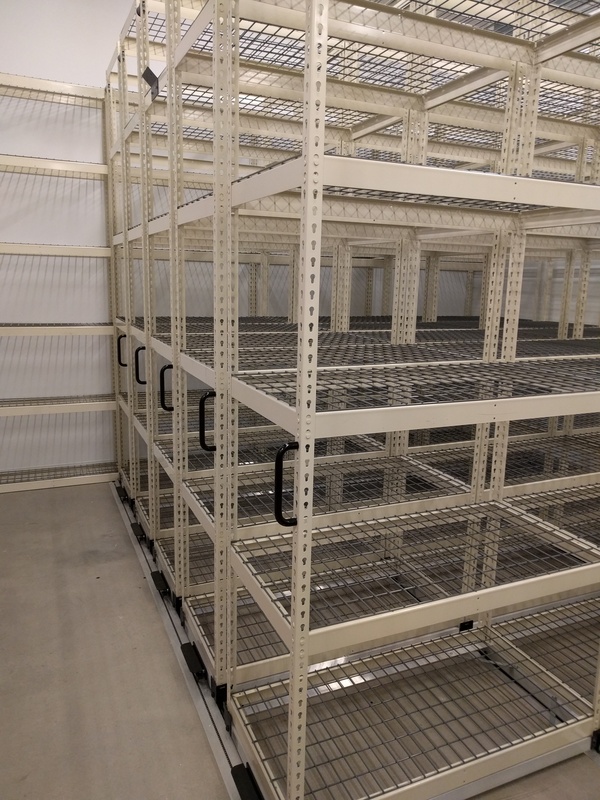 We have provided shelving system installation of mobile units mainly for retail stores, but have also completed projects in medical offices, warehouses, and schools.